There is No Comparison to Houston's Medical District! You are here: Home › Houston Neighborhood Review › There is No Comparison to Houston’s Medical District! Houston’s known for its diverse culture, its first-rate food, and its status as an energy powerhouse. It is also the U.S.’s premiere medical center and the largest medical center in the world. The Texas Medical Center is home to 54 medical-related institutions inside the medical district alone, all not-for-profit. 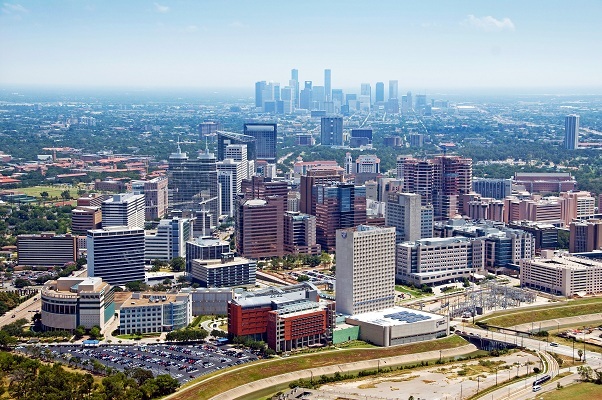 The high-density body of patient-care clinics in addition to dedicated space for medical research in its 8 academic and research institutions (which spans over more than 1000 acres), means Houston has medical accommodations that are world-renown. It’s a huge draw for students seeking exemplary educational opportunities with some of the best medical experts in the field in its world-class conglomerate of medical powerhouses like MD Anderson, Memorial Hermann, Baylor College of Medicine, Texas Children’s Hospital and a slew of others. There are 3 medical schools, 6 nursing schools, and countless other health-related educational institutions (like dentistry and pharmacy). And it’s not only a big deal for the people of Texas or even just America, but for patients who come from all over the world; it’s a definitive contributing factor in Houston’s status as the most diverse city in the US. 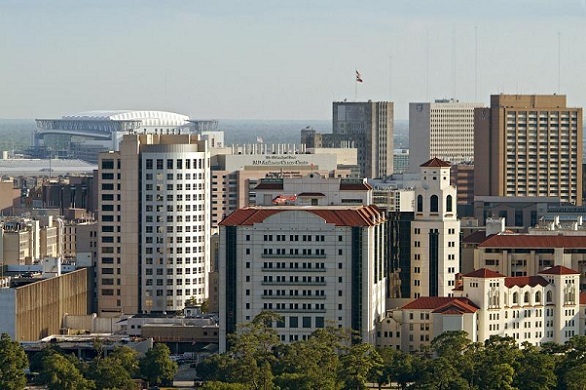 In fact, the Texas Medical Center located in the heart of Houston, has 21 hospitals and 8 specialty institutions. There is not medical center like it in the world—more heart surgeries are performed in the Texas Medical Center than anywhere else and it also contains the largest facility in the U.S. dedicated to treating cancer with Proton Therapy opened here in 2006. Although this area is firmly rooted in health, wellness, and advanced medicine, Houston does nothing without style drawn from its wealth of culture. The Texas Medical Center Orchestra of Houston is made up entirely of medical professionals who are dedicated to music as much as they are passionate about medicine. The Texas Medical Center also features the most comprehensive parts of Houston’s developing METRORail system, which makes it easier than ever to visit and stay.